Sure, it sounds like another snappy bumper-sticker slogan. (In fact, the now-defunct Marin Organic distributed green stickers emblazoned with this phrase for years.) Simple as it sounds, it's not always an easy feat, but it's a concept that's at the heart of a current food-world movement towards greater transparency and accountability. More and more, we want to know who is growing our food, and how. Once it was enough to know that head of lettuce was organic; now, buyers' interests can touch on every aspect of sustainability, from transport miles to farmworkers' wages and living conditions. Here in the Bay Area, we're lucky to live where nearly anything can grow, in a climate mild enough to support year-round productivity. As densely populated as this slice of California can feel, we're nonetheless at the heart of an agriculturally famous region. Drive north or south for less than a hour and you can find unique small farms, dairies, ranches, orchards, and more, all making and selling their products on site. 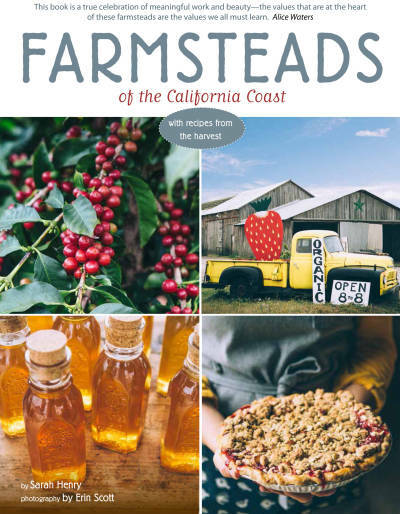 These farmstead operations, typically relying on direct customer sales through roadside farm stands and CSAs, are the subject of local writer Sarah Henry's new book, Farmsteads of the California Coast. In it, she explores the stories of a dozen operations in coastal locations from Mendocino to Santa Barbara county. 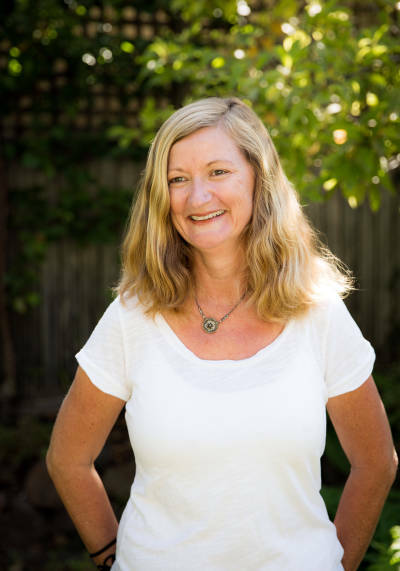 The Australian-born Henry now lives in the East Bay, where she's written for the San Francisco Chronicle, AFAR, Edible East Bay, Edible San Francisco, and Edible Marin and Wine Country. (She's also been a contributor to Bay Area Bites.) 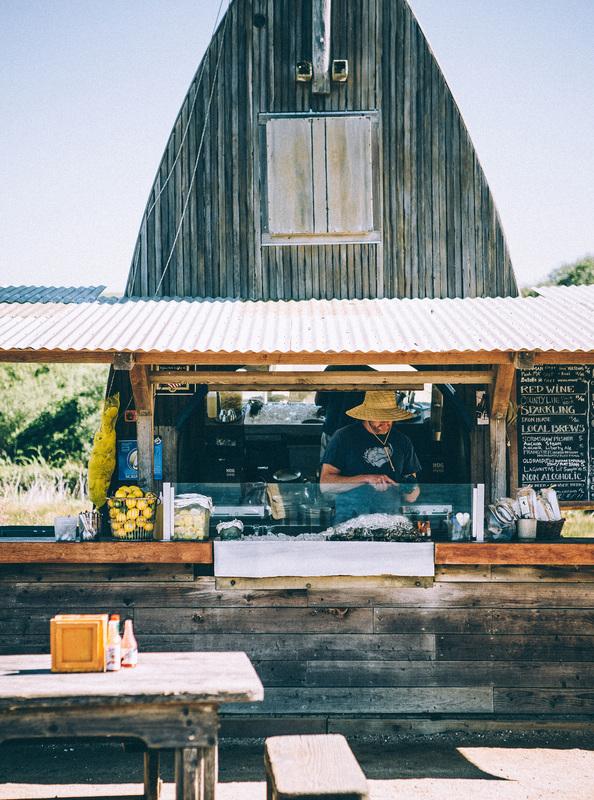 More than half of the operations profiled in the book are a scenic drive from San Francisco, from the Hog Island Oyster Company in Marshall and Gospel Flat Farm in Bolinas to Pie Ranch and Swanton Berry Farm in Pescadero. While looking to cover a diversity of places and products, Henry did choose farms by geographical proximity, so readers could visit two or three places mentioned on a single visit. If you've read the produce signs at Bi-Rite Market, or cruised the cheese display at Rainbow Grocery, you'll recognize the names of the farms and dairies in this book. And if you've scrolled through the purveyors listed on many a Bay Area restaurant menu, you'll definitely feel like you're meeting some old friends, or finally putting faces on familiar names, thanks to Berkeley photographer Erin Scott's appealing photographs. Here is Bob Cannard, the king of weeds, whose vibrant lettuces are a favorite of Alice Waters and a staple on the menu at Chez Panisse. Turn a page and here are the sweet goats of Harley Farm, whose milk is turned into flower-decked rounds of fresh goat cheese, almost too pretty to eat. Here's Jim Cochran of Swanton Berry Farm, smiling in a plaid shirt as red as his strawberries, the first man to grow organic strawberries commercially in California, then the first to sign a contract with the United Farm Workers, giving his pickers union benefits like health insurance and fair wages. Some, like Cochran, have been farming for decades, transitioning over the years from conventional to organic growing methods. Others, like Andrew Zlot of Double 8 Dairy, had lucrative careers elsewhere, finding their way to animal husbandry or cheesemaking later in life. 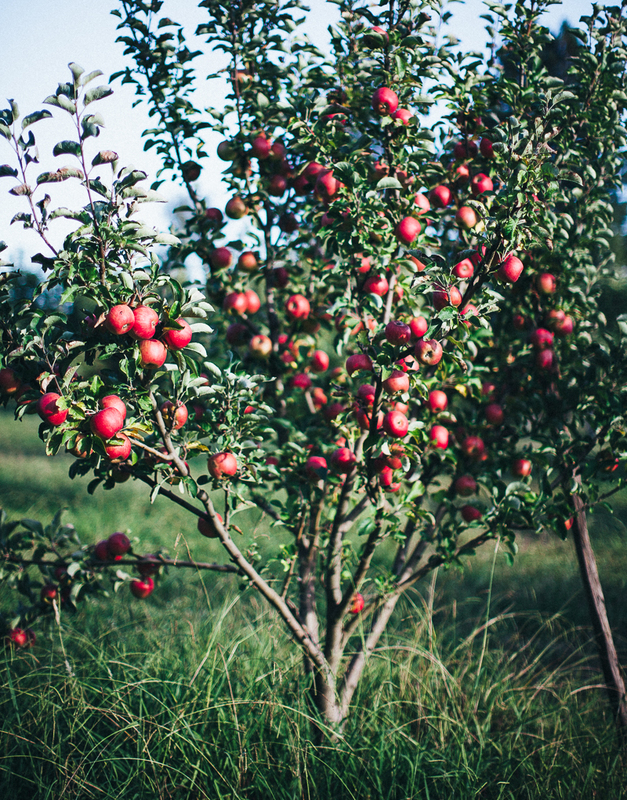 Second generation farmers Mickey Murch (Gospel Flat Farm) and Karen Bates (The Apple Farm) took over and reshaped the farming operations their parents had started. As a longtime journalist, Henry knows how to tell a story, and while she keeps the emphasis positive, she does touch, albeit lightly, on some of the challenges of small-scale farming and rural living--the isolation, the lack of privacy in small-town life, the narrow profit margins and the unrelenting day-in-day-out-ness of raising animals and tending the land. Each chapter also tries to address a larger issue of sustainability, whether it's the ocean and bay stewardship of the oyster farmers at Hog Island, or the layered agriculture practiced by Good Land Organics, where avocado trees shade coffee plants. While Henry was familiar with many of the farmers before she began the book, going to the farms, and walking the land with those responsible for it, was eye-opening. "I learned something from each of them--a farming practice, a sacrifice they'd had to make to keep going, a time they almost didn't make it," she told Bay Area Bites. "Every story came with some kind of caveat," the biggest, of course, being California's drastic (and certainly not yet erased) drought, along with the pressure of ongoing, escalating climate change. Still, this is an aspirational book, and no matter what the farmers say, Scott's photographs make life on a small farm look blissfully, deliciously idyllic, so much so that the cover really should come with a warning label: Farm Life More Difficult Than It May Appear. But for those of us who just want to visit the farming life, Farmsteads is a prettily dirt-stained reminder of the undeniable beauty of our slice of the north-central California coast, and a tribute to the dedication of those who make it grow. "I hope the book will give people a deeper understanding of what goes into growing our food. With all the emphasis on chefs and restaurants, sometimes the farmers get overlooked," said Henry. "I hope this will help people take a different attitude towards food waste, after knowing the kind of work it takes, and feel a greater connection to their food." Meet the author and photographer, get a signed book, and sample treats from the featured farms at two upcoming free events: Sunday, April 24, 2pm, Gospel Flat Farm, 208 Olema Bolinas Road, Bolinas; and Saturday, April 30, 3-4pm; Omnivore Books, 3885 Cesar Chavez St, San Francisco.